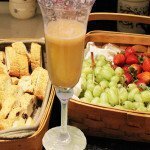 A Fresh Peach Bellini is the perfect drink for a ladies Tuscan lunch. We blended fresh, tree-ripe peaches into a sweet puree, and topped that with our favorite Italian Prosecco from hometown Chef Jamie Laurita. Place the peaches, lemon juice, and sugar in the bowl of a food processor fitted with a steel blade and process until smooth. Press the mixture through a fine-mesh sieve and discard the peach solids in the sieve. 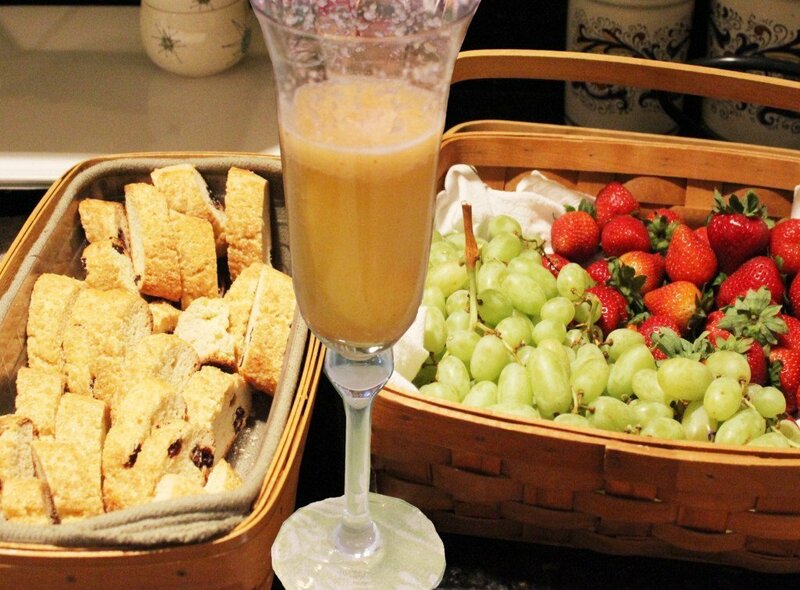 Place 2 tablespoons of the peach puree into each Champagne flute and fill with cold prosecco. Garnish with fresh peach slice, and float 1 teaspoon of Chambord on top.